Some 17 years ago, Duthie Associates, Inc. commissioned our son Graham to paint a large pastel triptych for our West End Office. Graham attended public schools in Nashville for from 1977-1982 so he can be considered a Nashville artist. The concept was to illustrate Nashville as in the 90's about 80% of our business was with economic developers. The painting has been very popular, so with our office lease expiring, I wanted to find a public place where many could enjoy it. 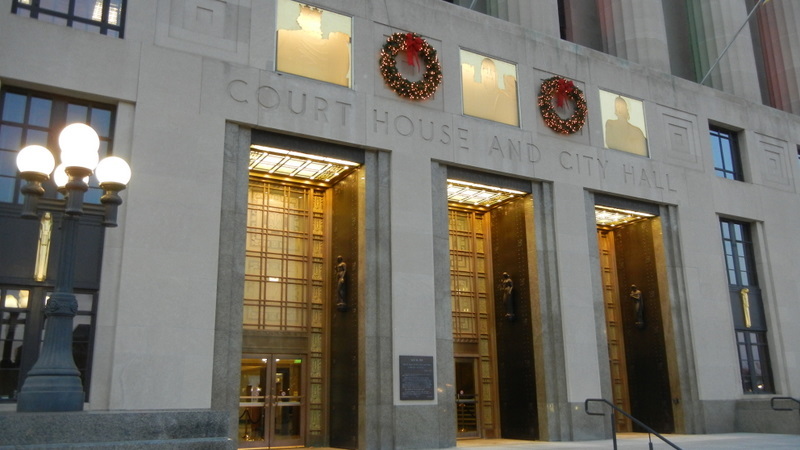 As the painting illustrates the many historic and newer iconic buildings in Nashville, I felt the best location would be a city owned property like City Hall or the convention center. 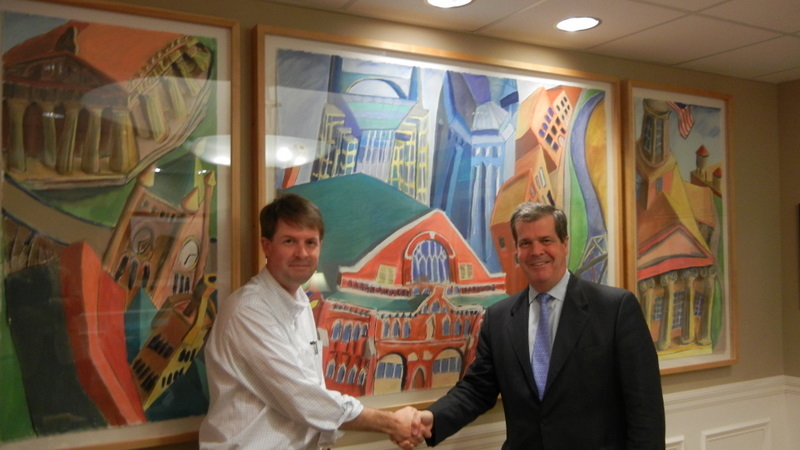 I talked to Mayor Karl Dean last June and he suggested it would fit in the waiting room outside his office at City Hall. He also suggested the company could loan the painting to the city. 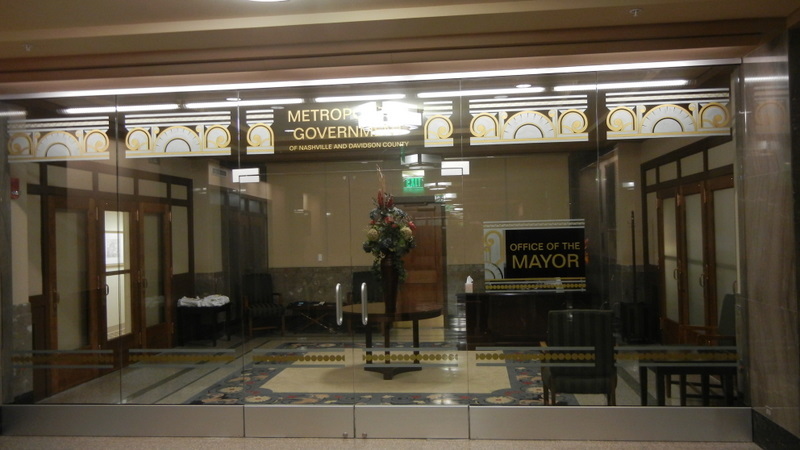 A loan agreement was drawn up by the city law department and approved by the Arts Commission, Works Department, and City Council. It even required a change in some legislation. This all got done and the move took place today. 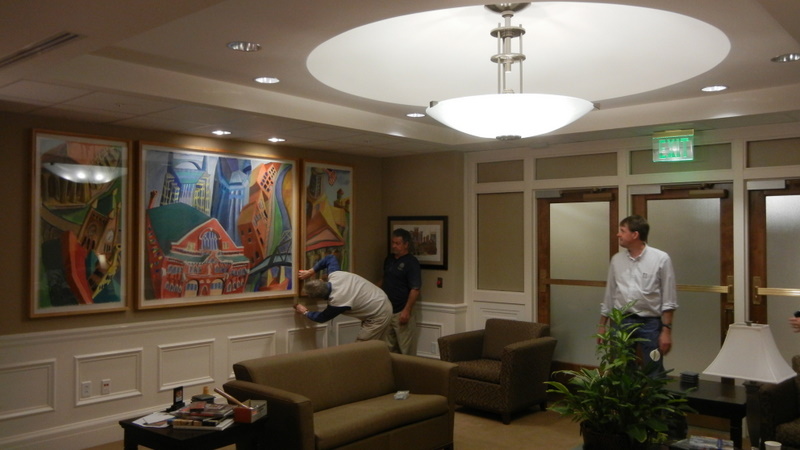 The painting was picked up in a Works Department truck and re-hung in City Hall. The artist was here for the event and played a major role in the move. It's now in a perfect location and really suits the space and the decor. Graham's work will now be seen by the many visitors that come to visit the Mayor and his staff.